A few years back we posted an article titled “The 5 Worst Currencies in the World.” Somewhat to our surprise, the topic generated an incredible amount of traffic, which – belatedly – led to this post. Anyone can sit down to a computer and cast aspersions at the currency of the latest war-torn, totalitarian hellhole of a country, but that shouldn’t be the end of the story. 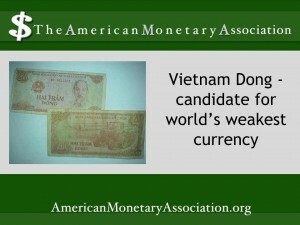 What we really need to get down to is what makes for a weak currency? Well, we’re going to tell you. Higher interest rates equate to a better investor return on bonds and other types of government securities. This creates an inflow of overseas capital and tends to strengthen a currency. Conversely, low or falling interest rates make a currency weaker. To be honest, this factor is sometimes more about perception than reality. A country with what is seen to be a growing or strong economy can expect to enjoy the benefits of institutional investing. A few indicators to watch are growth, inflation, and debt burden. For better or worse, it’s a political reality that governments and/or central banks are liable to manipulate the strength of a currency for either political or economic reasons by either buying it on the open market or raising or lowering interest rates. Not all intervention scares off investors but some interventions (such as Zimbabwe in recent years) should frighten any sane investor. It has been these sorts of artificial interventions in America in recent years that has been blamed by some experts for the weakening of the US currency. In particular, the Federal Reserve and Obama administration have taken to employing an unconventional tactic called Quantitative Easing to simply credit its account with money that did not exist before. Think of it as a new version of printing your own money. With this newfound “wealth” the federal government begins buying government bonds, corporate bonds, and other financial assets via open market operations. The goal is to increase lending and stimulate the economy. The risk is hyperinflation, which leads us to the final factor that creates a weak currency. 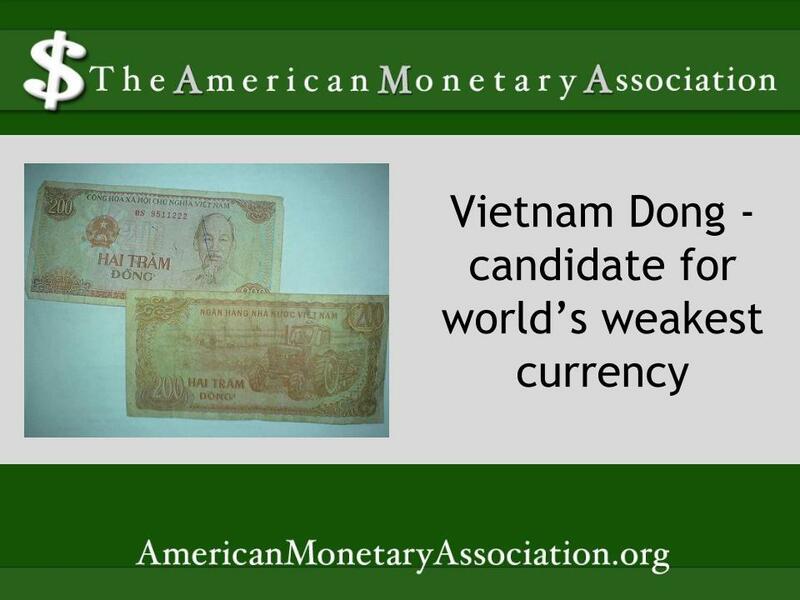 In almost every example of a currency that grows historically weak, expect to find unchecked inflation. That’s how you end up with trillionaires in Zimbabwe who can’t afford a loaf of bread, or find it a better use of resources to start a fire with their paper money on a cold night rather than spend it.